Dr. Hambrick received his BS, MS, and PhD in Electrical Engineering from Virginia Tech in Blacksburg, VA. He is currently a Senior Engineer in the Distributed Energy Systems Integration group at the National Renewable Energy Laboratory in Golden, CO. Prior to joining NREL he worked as an excitation specialist for large, central generation facilities and a developer of distribution system modeling and simulation software. 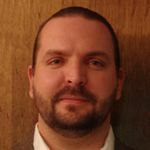 His research interests include modeling, simulation, instrumentation and analysis of high penetrations of renewable resources as well as model-based control of distribution systems and microgrids. He is active in standards activities related to the Smart Grid and distributed resource integration.